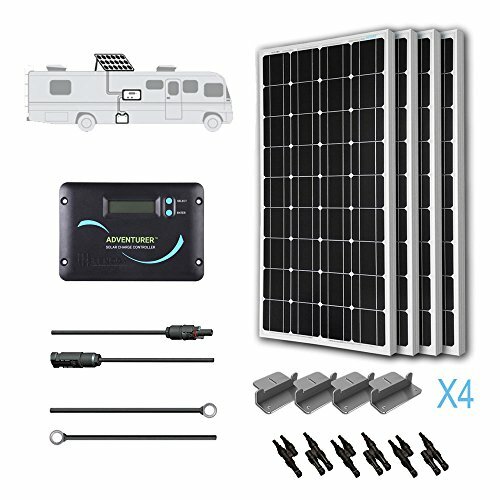 If you’re boondocking off-grid with your RV or trailer and want to run electric appliances, you’ll need to be able to generate power. Many motorhomes come with an integrated generator, but there are also portable options. These stow away easily and can power your lights, TV and electronics or run a pump, fridge, or even air conditioner. We’ve reviewed the five best RV generators and will tell you what you need to know about being energy-independent on the road. 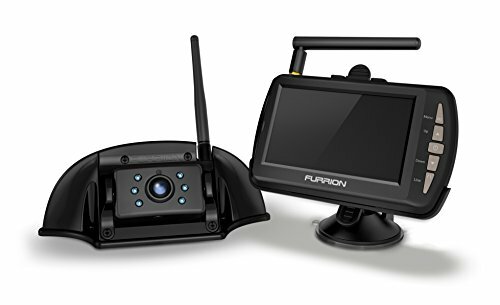 For more of my top RV gear recommendations, have a look through these popular Outside Pursuits guide links: RV Solar Panels & Kits, RV TV Antennas, RV GPS Navigation Units. We’ll go over the details of different types of generators and their individual advantages and disadvantages after our top RV generator selections. The Champion Power Equipment 75537i is a portable RV generator offering versatility and ease of operation. 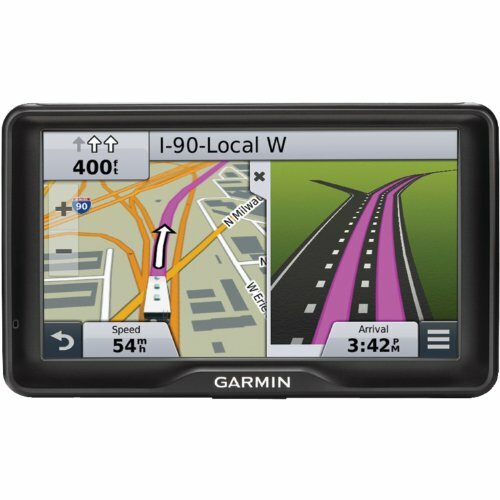 It is compact, lightweight and quiet that runs on gasoline and is well-suited for RV use, camping or tailgating. It delivers 3100W starting power and 2800W running power with a 171cc single cylinder overhead valve (OHV) engine. Thanks to an electric starter with a battery and cold start technology, fail-safe starting is as simple as pressing a button. With the included remote, you can do that even from up to 80 ft away. Control is straightforward with the integrated panel and the circuit breakers feature a push-to-reset button. The generator comes fully assembled with hassle-free setup. Included wheels and carrying handles provide sufficient portability and the U-shaped handle folds away nicely for stowing. An integrated inverter ensures the generator produces only clean power with less than 3% total harmonic distortion (THD), so connecting sensitive electronics is not an issue. You have a 120V 30A outlet for your RV, two 120V 20A household outlets (AC), and a 12V DC outlet. A safety feature will shut off the generator if there is insufficient oil. The generator operates at 58 dBA (from 23 feet away), which is deemed the noise level of normal conversation. With EPA certification and CARB compliance, you need not worry about emissions. The only minor drawbacks to this generator are the missing fuel gauge and the comparatively small gas tank that holds 1.6 gallons. Yet with a full tank, you can expect up to 8 hours of runtime at 25% load. However, Champion Power Equipment has included an inverter with a smart economy mode. The generator reduces consumption with lower electrical load, providing quieter operation, great fuel economy and extended engine life. 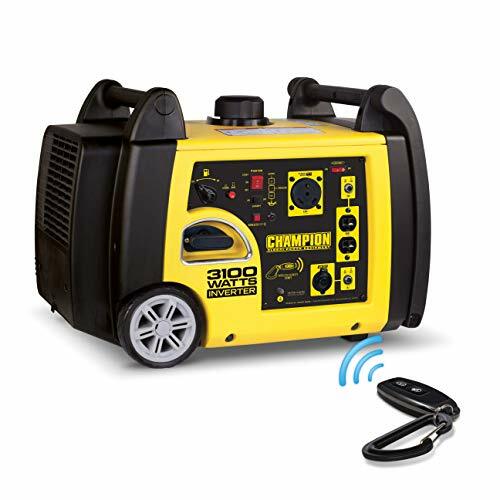 The Champion Power Equipment 75537i generator comes with an oil funnel, a spark plug tool, battery charging cables, a remote starter, and dual USB adapter. You get a 3-year limited warranty and free lifetime tech support. With lots of power in a compact, portable size and quiet operation, this versatile powerhouse is our editor’s choice of the best generator for a camper or RV. The Honda EU2000I is a portable RV generator that is very popular because it is quiet, fuel-efficient and very compact and lightweight. The gasoline engine provides 2000W of starting power and a runtime power of 1600W – enough to power electric appliances, a TV, DVD player or a microwave. You can also charge a laptop, smartphone and tablet or a deep cycle battery. With a USDA-qualified spark arrestor/muffler and two-tiered operation, the noise range of the generator is about 53 dBA and the quietest generator for RV camping. Especially when it’s not under full load, this model is whisper-quiet. It’s also CARB compliant. With a low weight, it’s easy to carry and set up. The integrated inverter protects your sensitive electronics, and circuit protection prohibits and overload of the generator. A sensor will automatically shut off the unit in case of low oil. What you don’t have unfortunately is an automatic shut-off in case fuel runs out. Also, the recoil starter may take a couple of tries in colder weather. If the Honda EU2000I doesn’t provide enough power, it’s easy to connect a second unit in parallel – at the affordable price, it’s good option for doubling your power generating capabilities. The generator has a .95 gallon fuel tank, which allows it run 3.4 hours. On just 25% load, it will run 8.1 hours, enough for overnight use. The generator comes with a 3-year warranty and best portable generator for RV use. The Briggs & Stratton 30651 Portable RV generator is a lightweight and portable unit that is ideal for RVs, camping or tailgating. The manufacturer is a North American company with service centers in nearly every state, over 3,000 total in North America, which is good to know for service and professional maintenance. The 111cc overhead valve engine produces a starting power of 2200W and 1700W running, enough for TVs, laptops, entertainment systems and charging many devices. An integrated inverter reduces total harmonic distortion to less than 3%, meaning sensitive electronics are protected from surges. Should you need double the power, two units are easy to hook up in parallel thanks to the connection capability. 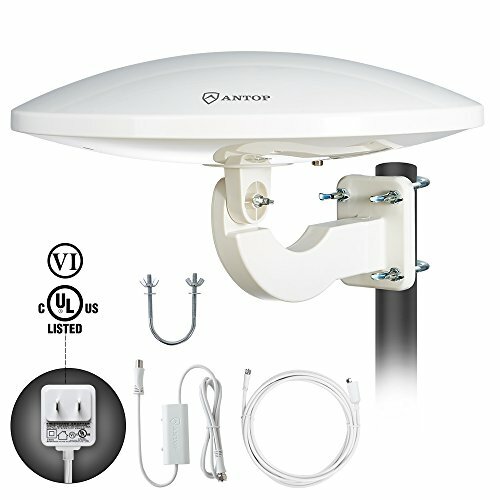 You have two 120V AC household outlets and one 12V 5A DC outlet as well as a USB adapter. The generator is protected by an internal circuit breaker and an auto-idle feature which automatically adjusts fuel use to load and makes it very efficient. A gauge allows easy monitoring of the one gallon tank’s fuel level. At 25% load, the generator will provide 8 hours of runtime. In eco-mode, the noise level is at 57 dBA, whereas regular operation produces 59 dBA, comparable to a normal conversation, so it’s a very quiet RV generator. Speaking of emissions, though, one thing to keep in mind is this generator is not CARB compliant. A minor downside is the recoil starter, which can take more than one try, especially in colder weather. The integrated H-style handle at the top makes carrying and stowing easy enough. The Briggs & Stratton 30651 P2200 RV generator comes with a 2-year limited warranty and is a solid choice if you need a light and portable unit that is capable of delivering more than 2000W starting power. If you’re in need of a lot of power, the Westinghouse WGen7500 RV generator is a reliable workhorse that packs enough power for air conditioners or heaters and then some. 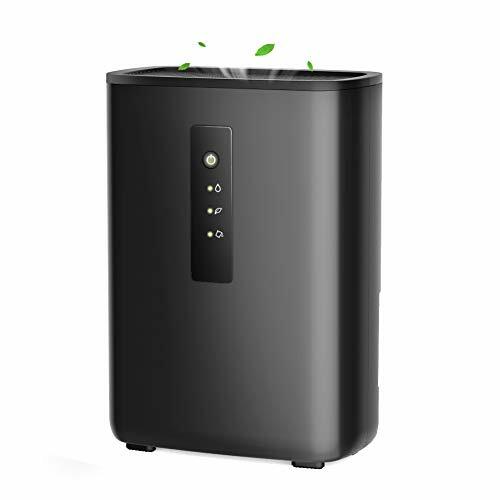 It delivers 9500W starting power and 7500W in regular operation. With a 6.6 gallon tank, it can run through the night and will give you a runtime of 10 hours at 50% load. The fuel gauge will always tell you when it’s time to refuel and the generator is very fuel-efficient with an eco-mode. With both a recoil and electric starter with included battery, starting is as simple as pushing a button or using the remote control. Yellow marks on the unit also guide you through the process. The generator has a 420cc 4-stroke overhead valve durable engine that is protected by a cast iron sleeve. A solid steel frame and a wheel kit allow for straightforward transportation and stowage. Thanks to quiet mufflers, the generator produces 64 dBA, which is comparably loud but less than expected for a model of this size and power. The unit is fully EPA, CARB, and CSA compliant. The built-in low oil shutdown protects the engine from damage, and the digital hour meter makes timing regular maintenance a breeze. On the electrical side, the generator is overload and circuit protected with an easy-to-use control panel and durable rubber covers for the outlets. You get a 120V/240V twist-lock receptacle and two 120V AC household outlets. The Westinghouse WGen7500 comes with everything you need and includes oil, a funnel, tool kit and a 3-Year residential warranty with lifetime technical support. It’s the largest, loudest and heaviest generator in our selection, but it surely delivers the most power and won’t fail even in cold conditions when you’re running a space heater on top of everything else. The Champion Power Equipment 3800W RV generator is unique as it’s the only model in our selection that can run on two different types of fuel. Right out of the box, you can choose between gasoline and propane, and switching is safe and convenient with a simple button. Gasoline-powered, the 224c overhead valve engine produces a starting power of 4750W and 3800W running. The tank holds 3.4 gallons and will give you a 9 hour runtime at 50% load. On propane, the generator produces 4275W of starting power and 3240W running. With a 20-pound propane tank, you can expect a runtime of 10.5 hours under 50% load. In either case, this is enough power to run an RV air conditioner with 15,000 BTU and other essential and power-hungry items. Keep in mind that a propane tank is not included and running the generator on propane will increase bulk. Starting even in cold weather is no problem with a convenient quick start button. At 23 feet, the generator emits a noise level of only 68 dBA, which is roughly equivalent to a vacuum cleaner. With EPA certification and CARB compliance, you’re set for all 50 US states in terms of emissions. A built in surge protector keeps connected equipment safe, and with the Champion Power Equipment Intelligauge system, you can track output and maintenance intervals. A low oil shut-off sensor protects the unit further. Transportation and storage are simple and hassle-free with a fold-away handle and the included wheel kit. You also get an funnel, wheel kit, engine oil, starting battery, propane hose, a 3-year limited warranty and free lifetime tech support. The Champion Power Equipment 3800W generator is the best RV generator for lots power and want a reliable dual-fuel option. When selecting a generator for your recreational vehicle or trailer, consider your power needs and the required power output. Will you be powering appliances and devices directly and rely mainly on the generator? or will you use it primarily to charge batteries, or as a backup solution in case your solar installation can’t deliver enough power? Try to gauge if you’ll be adding equipment in the future and don’t choose a model with too little power. Several factors determine which kind of generator and exact model you should get. It needs to be powerful enough to provide sufficient output for everything you want to run. The available outlets should allow you to connect all your hardware such as charge controller, appliances and devices. You might also think about what noise level you can tolerate and how long the generator should run, how portable it should be and what extras you require. We’ll go into more specifics after our top selection. The appliances, devices and gadgets you intend to run, charge or use at the same time determine your power needs. For a small and frugal camping trip, a generator with 1000W to 2000W power might be sufficient, as you’ll only run lights or an electric cooker at a time and maybe charge batteries or electronics at night. But to fully power up your RV, you need a generator with 3000W and more, especially if you intend to power a fridge, an air conditioner or a heater. RV generators commonly use three different fuel types: gasoline, diesel, propane, and natural gas. It comes down to preference and what is available to you, but keep in mind that most people prefer a gas-powered generator if their vehicle runs on gas as well since they only need to fuel up on one type. A budget-friendly choice that is convenient for vehicles running on gas as well. Gas is readily available and gasoline generators are affordable and economical. These are fuel-efficient models and a good choice for a diesel motorhome. A diesel generator typically can deliver more power, yet emits more noise. It is not common choice. With propane, you don’t need to worry about fuel going bad as it has an indefinite shelf life. Propane generators are quiet with little emissions, yet their limitation is their tank size and you can’t refuel them everywhere. This is the number of hours your generator is able to provide power on a full tank of fuel. When relying on power throughout the night, you don’t want to have to refuel in the middle or early morning, so a solid eight hours is a good value to aim for in that case. All of the models we’ve reviewed feature an inverter. These kinds of generators are much more fuel efficient than models without it as they can throttle their speed based on current power demand, thus saving you fuel. Noise is an issue for generators and many people prefer a quiet model. Unfortunately, this usually means a smaller, less powerful generator. Thanks to mufflers and improved technology, engines have becoming quieter. Generators are rated in dBA for noise output, which is a standard measurement and lists the noise emission in decibels from a certain distance (23 feet). To give you an idea: a person breathing is rated 10 dBA, whereas a regular conversation ranges around 50 dBA. Keep in mind that noise is not only an issue for you but those around you as well. While placing a generator far away from your vehicle certainly makes it quiet enough so you can enjoy your TV, your campground neighbors will think differently. For those RVers frequenting shared spaces, a quiet RV generator is usually best. For added power, you can always run two in parallel. EPA certification and CARB compliance is not just for the environmentally-minded RVers. Short for California Air Resources Board, an environmental protection agency specialized in air pollution. They can issue emission standards under the federal Clean Air Act. Emission restrictions might not only apply in California, but in national parks and nature protected areas as well. Depending on the regulation, it can mean that you’re not allowed to run or even bring a non-compliant generator, so always check before you hit the road en route to these destinations. Although all RV generators we reviewed are categorized as portable, some are certainly heavier and bulkier. The decision comes down to how much space you have available for stowing a generator and how much extra weight you can take on. Again, it might be easier to cart around two smaller units than one large one. Keep in mind listed values are dry weight, i.e. for an empty generator without fuel. As mentioned, all generators on our list feature an inverter, making them fuel-efficient and reducing total harmonic distortion so sensitive electronics are protected from power surges. Other extras you might want for your RV generator are an electric starter, which is particularly useful in cold weather where a recoil starter might frustrate you. A fuel gauge is great if you find it hard to estimate how long a tank will last, while a service meter tells you when the next check-up or maintenance is due. A low oil sensor protects the engine. A: At the very least, you’ll need an extension cord so you can run the generator away from the vehicle to keep the noise down. Depending on what you want to charge or power up, you’ll need an adapter, for example for USB devices. Some generators come with extra outlets, but a typical configuration is one 12V DC outlet and two 110V AC household outlets. If you want to charge a deep cycle battery, it’s almost always more efficient to not connect it to the 12V DC outlet but to connect your charge controller to the AC outlet and let the charger figure out the needed values. If you don’t have a smart charger or charge controller yet and want to charge batteries, you’ll need a model that is compatible with your batteries. Q: Is there any maintenance required? A: Yes, all generators have an internal engine that needs to be checked and maintained, just like the engine in your vehicle. At the very least, keep it fueled up while in use. But don’t let unused fuel sit in the tank for prolonged periods of time – old fuel is not good for the engine. Generators are typically lubricated by oil, so follow the manufacturer’s instructions regarding an optimal oil level. A regular check-up and maintenance if necessary will greatly prolong the life of your generator. Some models come with a service meter that will alert you when it’s time. Otherwise, just mark a check-up in your calendar. Q: Can I charge a deep cycle battery with a generator? A: In short: yes. A 12V deep cycle battery require DC (direct current), which your generator might be able to supply. However, the voltage and Ampere might not be ideal for the most efficient charging. 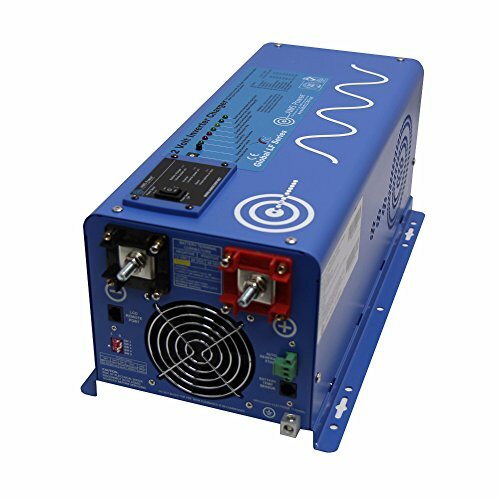 It is therefore a better approach to use the charge controller or smart charger of your battery bank and plug it into the 110V AC output of the generator. 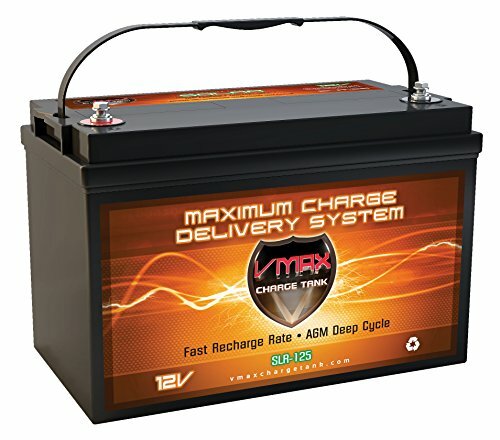 That way the controller can regulate the charge as needed and you will top off your deep cycle battery faster and with more efficiency. Q: How much power can I generate? A: The power of a generator is rated in Watts, for example 3000W. In addition, you will see a value for running power and one for starting or surge power. The former is the regular load power, whereas surge power is the value for a short peak. Many appliances draw more power when they’re started up, such as an air conditioner or even a blowdryer. In order to calculate your power needs, find the wattage for all the devices you want to run at the same time, then add up the individual values. If needed, do a separate tally for operational and surge power. The values of your generator should be greater than those of your appliances, otherwise you cannot operate them simultaneously. As an example: your air conditioner has 2000W regularly but a starting power of 2800W. Your other devices amount to 500W. Under regular operation, you need at least 2500W, but while starting up, surge power is 3200W. A generator with 4000W starting and 3500W running power is sufficient, but leaves you little room to add appliances at the same time. To stay flexible in the future, an even more powerful model might be best. Q: Which fuel type is best? A: It depends on your personal preference and your vehicle. The most common and preferred fuel type is gasoline, since it also powers a wide range of RVs and people prefer to only be reliant on one kind of fuel. A propane generator will limit your runtime to one tank and complicate your refueling. Diesel generators have higher emissions and commonly produce more noise due to a different engine, yet they can produce more power if that is what you require. With a diesel-powered vehicle, that kind of generator might be a better choice. Getting the right kind of RV generator for your needs is straightforward if you diligently assess your power needs and weigh in all the other factors as well, such as storage space, generator weight and noise. Portability is great to have and allows you to use the generator in other situations as well. Yet if you’ll rely heavily on generator power, choose one that you can depend on for enough runtime and electricity. 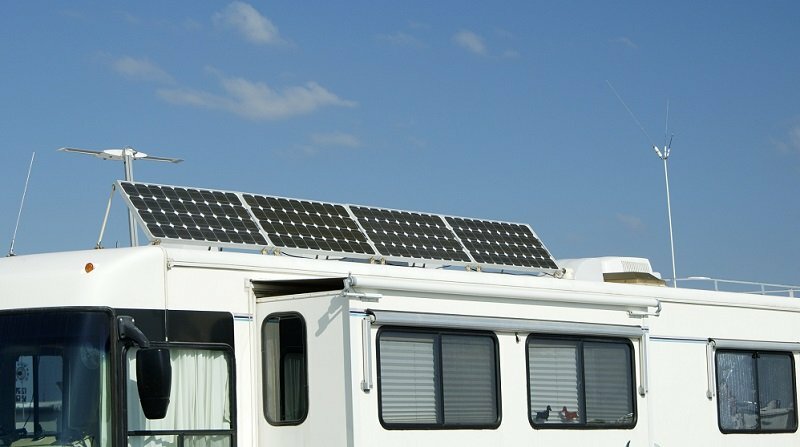 Use our guide to get an overview of the basics, then go over the specific energy needs in your trailer or RV and select a model from our top choices. I hope this guide was helpful for finding the best RV generator to fit your needs. If you want to comment or recommend a generator I didn’t include, please use my contact form to get in touch.